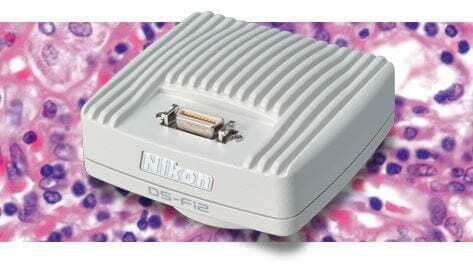 Nikon Microscope Camera Control Unit DS-L3 | EINST Technology Pte Ltd.
Nikon’s newest and most versatile microscope camera control unit DS-L3. 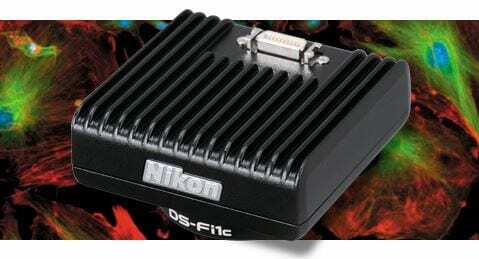 The Digital Sight DS-L3 is Nikon’s new stand-alone microscope camera controller. The DS-L3 stand-alone control unit is versatile, easy-to-use and provides effortless camera control and microscope operation via mouse or touch panel operation (finger or stylus). Easy to see and easy to use, the large built-in 8.4″ 1024 x 768 touch-screen monitor allows setting and operation of the camera head at the touch of a finger or stylus. With the DS-L3 viewer iOS application, images can be easily captured, saved and shared right through the iPad. The App is available for free on the iTunes App Store. From image acquisition to setting of shooting parameters, measurement, and export of image data, all operations can be performed easily via touch-screen. Optimal imaging parameters for each sample type and observation method can easily be set through the icons. A choice of five modes for biological imaging and four modes for industrial imaging are available, and up to seven custom modes with freely confi gurable shooting parameters can be set. 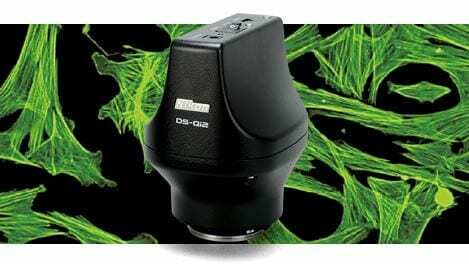 The DS-L3 reduces or eliminates diagonal line jaggedness in images and improves color reproduction as well, reducing unevenness in sample colors caused by cameras. The DS-L3 includes a wide range of tools for annotation, drawing, measurement and calibration. The DS-L3 can be controlled via PC using Nikon’s NIS-Elements software (available separately). 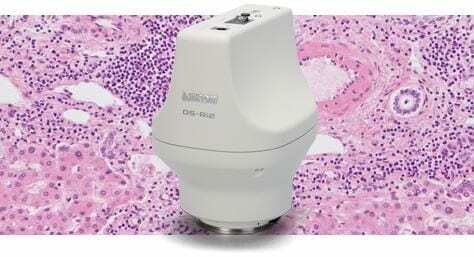 The DS-L3 can also be used as is for advanced analysis and image processing. Images acquired or under observation can be viewed simultaneously on the DS-L3, a projector, a PC monitor, etc. Through split-screen display, simultaneous viewing of an acquired image and a live image is possible, as is upload of images to an FTP server. Saving to a wide range of media (CF cards, Microdrive, USB memory devices, etc.) is possible, as is network transfer. Direct printing to PictBridge printers is a standard feature. Print scaling can be set and adjusted.